MANHATTAN (CN) — The federal government’s current and former top legal muscle on Wednesday helped HSBC Bank try to avoid scrutiny of its compliance with a $1.92 billion money-laundering settlement for jaw-dropping misconduct involving drug cartels. In 2012, HSBC entered into a five-year deferred prosecution agreement after admitting it had helped launder at least $881 million in drug money, including from the Sinaloa Cartel in Mexico and the Norte del Valle Cartel in Colombia. The British bank also broke multiple U.S. laws and sanctions against Cuba, Iran, Libya, Sudan and Burma, racking up violations of the Bank Secrecy Act, the International Emergency Economic Powers Act and the Trading With the Enemy Act. The Department of Justice’s settlement was slammed as a slap on the wrist, showing stunning hypocrisy in the so-called war on drugs. Not a single HSBC executive faced jail, and what prosecutors touted as an historic fine constituted about five weeks income for the bank. Early last year, U.S. District Judge John Gleeson granted a public records request by one mortgage-holder — Hubert Dean Moore Jr. — to shine light on a court-appointed monitor’s 1,000-page report on the bank’s compliance with the settlement. U.S. Circuit Judge Rosemary Pooler noted that the government’s actions suggest otherwise. “What is the court’s role once you get on the court’s docket?” she asked. Department of Justice attorney Jenny Ellickson replied that a judge had “little to no role” in overseeing compliance with the settlement, likening it to plea discussions with a criminal. Though the government insisted the report need be confidential to protect sources, and Gleeson granted the government’s requests to shield those sources, prosecutors wanted more categories of redactions than Gleeson allowed. Poking a hole in the government’s secrecy argument, U.S. Circuit Judge Gerard Lynch noted Wednesday that HSBC itself would receive a copy of that report. 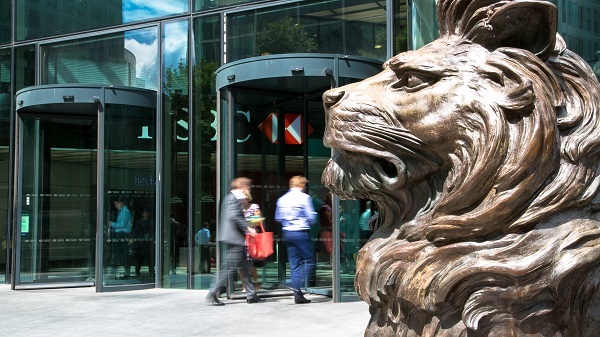 HSBC attorney Paul Clement, a former solicitor general of the United States, argued that Gleeson’s decision to release the document rests on the assumption that the government is hiding unethical conduct about the bank’s compliance with the settlement. But Moore’s attorney Schulz said that prosecutors accused Gleeson of the very sin they were committing. “The appellants in this case try to argue that this is judicial overreach into a realm that’s exclusively left to prosecutors, and the fact is, just the opposite is true,” Schulz said. In his legal brief, Schulz noted the wide public interest in the document’s disclosure. The Reporters Committee for Freedom of the Press and dozens of news outlets have filed friend-of-the-court briefs, keeping a close eye on the case. Chief U.S. Circuit Judge Robert Katzmann, the final member of the panel, concluded the hearing without a ruling. EDITOR’S NOTE: The firm Levine Sullivan Koch & Schulz represents Courthouse News reporter Adam Klasfeld pro bono in an unrelated Freedom of Information Act matter.